Set on an endless black plain interrupted by slices of sand scattered like islands these renders are from a work in progress personal project of mine. 'The Black Plain' I had a very clear vision for what I wanted from the start which is unusual as often I'll discover the project through experimenting. For this project I could see clearly what It would look like before I had started; a limbo-like landscape intersected by segments of nature. 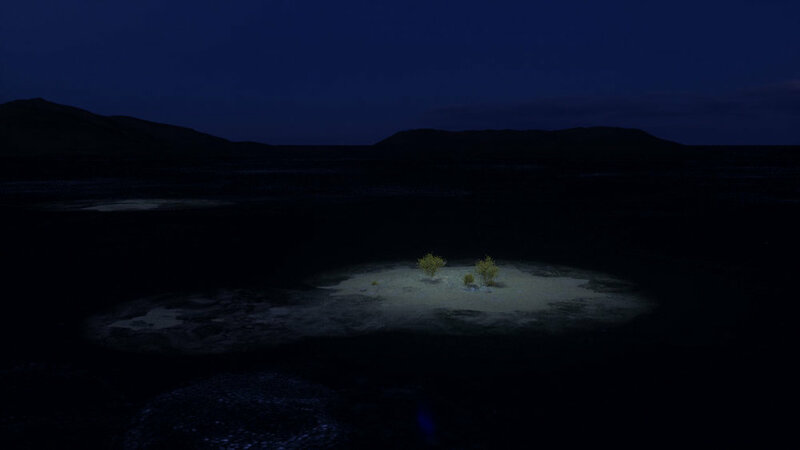 I wanted an island of sand with a few jutting rocks, scattered shrubs, and sand petering out across the plain. Lastly, I also wanted inexplicable devices with a retro 70's sic-fi aesthetic emitting a warm glow in an otherwise cold place. I used RD- textures and Laubwerk shrubs (which I first experimented with earlier here) to populate my islands after playing with world builder I settled on making mountains created entirely in C4D to create my horizon. I experimented with larger rock structures using a technique in Christoph Schindelar's tutorial 'Canyon'. Using his technique, I created rock faces from splines in a loft object with RD-textures running across them. This allows for a great deal of control over the exact shape of the rock formation. The rock face is procedural and can be edited at any point in the process changing both the structure and topology of the formation. Using the Xoio 3D models I introduced scanned people into the scene giving it a sense of scale. Once I had people exploring these landscapes I wanted to challenge myself to create an interior scene. Going a step further to create something that combined both interior and exterior, as the real value in my personal projects is pushing my skills. I found a photo of a mid-century modernist house Lanaras by Greek architect Nicos Valsamakis. The house had incredible shape and I challenged myself to recreate it quickly in C4D. I enjoyed being able to see into and through the interior and the simplicity of the modern design. It was a rewarding experiment in 3D architecture one that I learnt a lot from and that I will certainly revisit. Finally I began designing an interior office space. I was playing with the idea of a mostly monochromatic office space. It felt as if it existed in the same world as the endless Black Plain. I thought it would be an interesting challenge to try and create an interior scene in C4D once again over a short time scale. 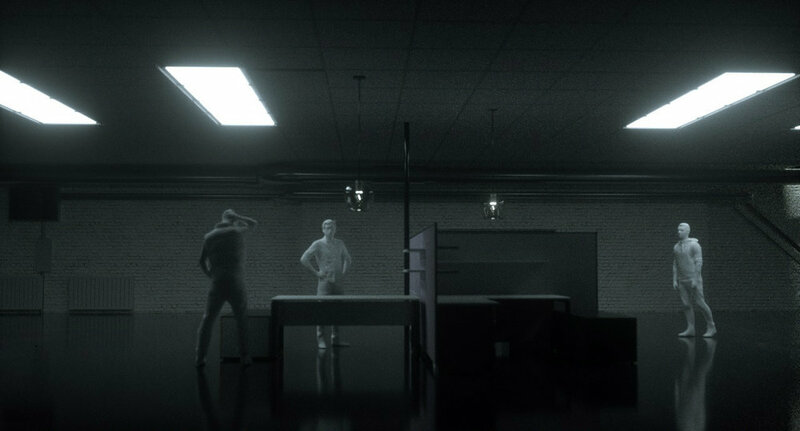 I really enjoyed texturing and lighting this scene as well as laying out the cubicles. Though I was constantly pushing up the render times, in retrospect, an instance or cloner was required to duplicate the cubicles. Check out some of my other 3D projects below.